Connect Contact Center is a full-featured customer engagement suite that helps you enhance customer experiences. Contact Center provides inbound and outbound solutions via cloud, onsite and hybrid deployments. 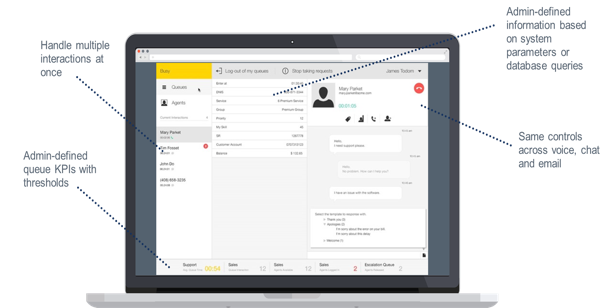 It integrates standalone contact center functions, including automatic call distribution (ACD), interactive voice response (IVR), computer telephony integration (CTI), outbound campaigns and multimedia routing into a single, centrally-managed, highly available solution. Spend time managing your business and customers, not your contact center technology. Leverage Connect Contact Center’s inbound, outbound and blended routing capabilities per your business requirements. Review the data across your contact center with native reporting capabilities. The architecture provides enterprise grade reliability, redundancy and security built into the solution.